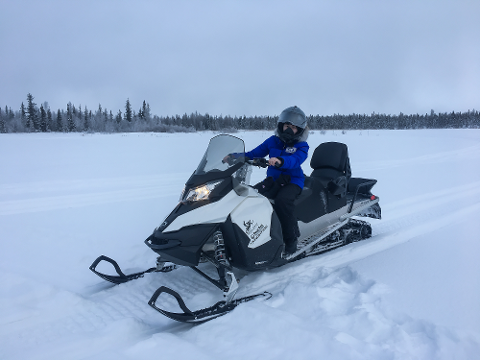 Your 1.5 - hours tour starts with hotel pickup and transfer to the snowmobile facility where your guide will provide you with a snowmobile safety helmet for the tour. 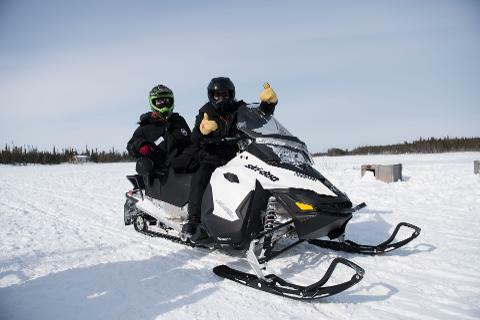 After outfitting for your tour, a safety briefing and hands-on demonstration of proper handling of the snowmobile follows. 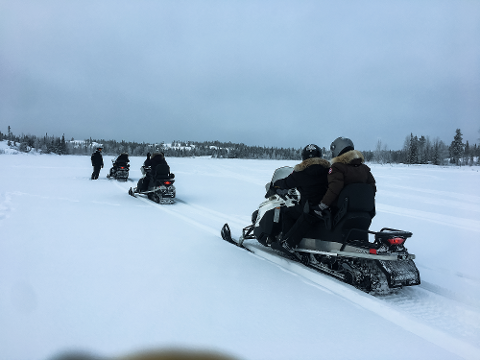 Begin your adventure by carving your way through Yellowknife back-country, where you will be able to experience the breathtaking remote and rugged wilderness. 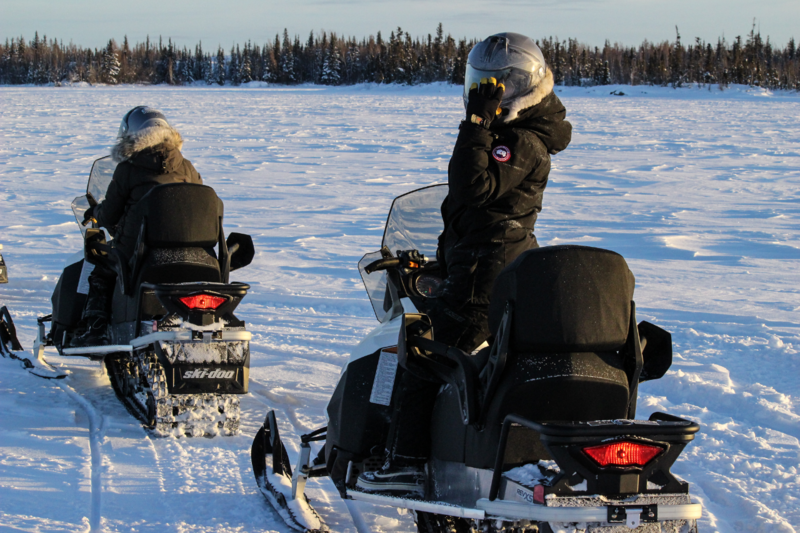 As you ride through frozen lakes and trails, be on the look out for wildlife such as ptarmigan bird, fox or snowshoe rabbit. On a good day, you might be lucky to spot a lynx. 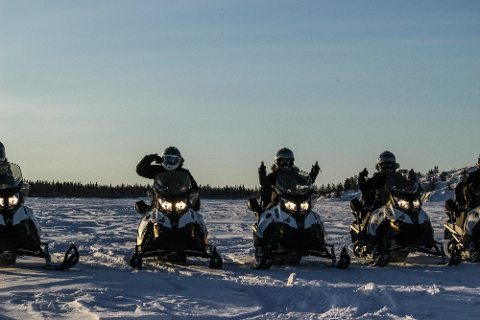 After enjoying your snowmobile drive, head back to the lodge and warm up with complimentary hot beverages.